The Library Language Centre Lucile Deslignères, Librarian. 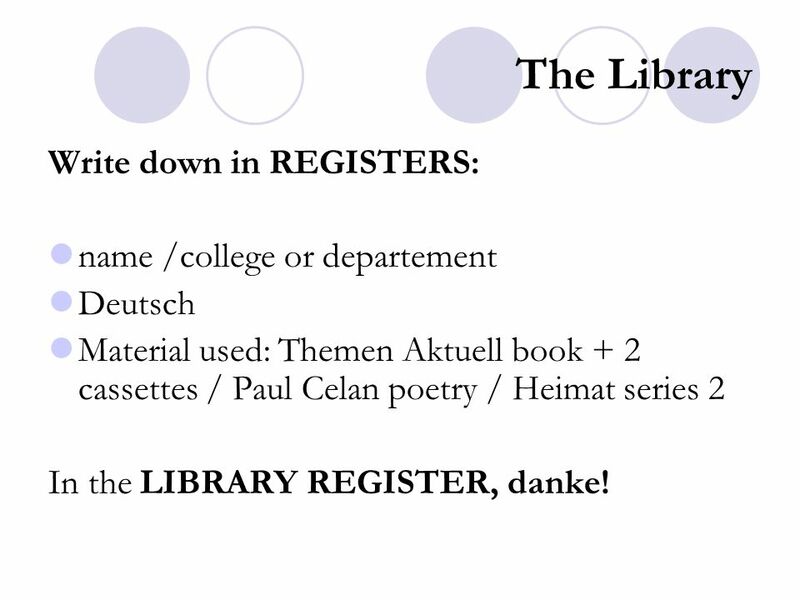 5 The Library Write down in REGISTERS: name /college or departement Deutsch Material used: Themen Aktuell book + 2 cassettes / Paul Celan poetry / Heimat series 2 In the LIBRARY REGISTER, danke! 6 La Bibliothèque Borrowing! 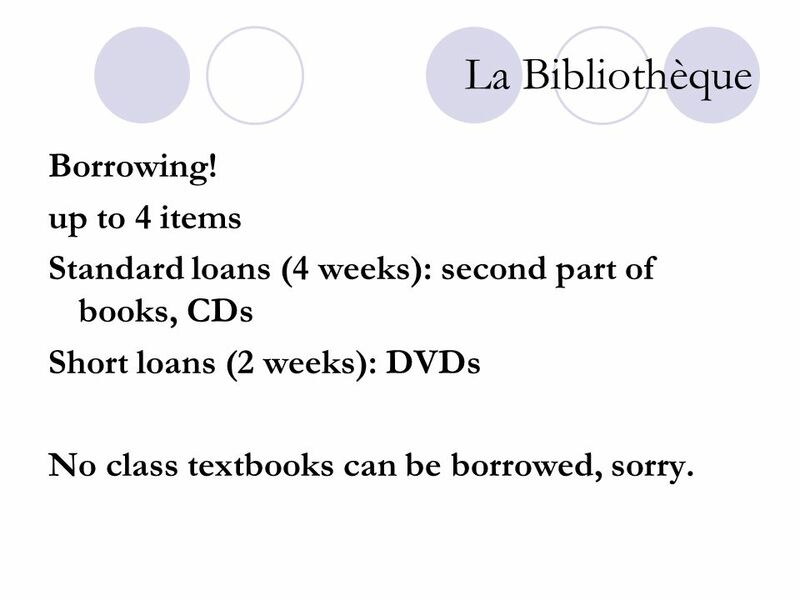 up to 4 items Standard loans (4 weeks): second part of books, CDs Short loans (2 weeks): DVDs No class textbooks can be borrowed, sorry. 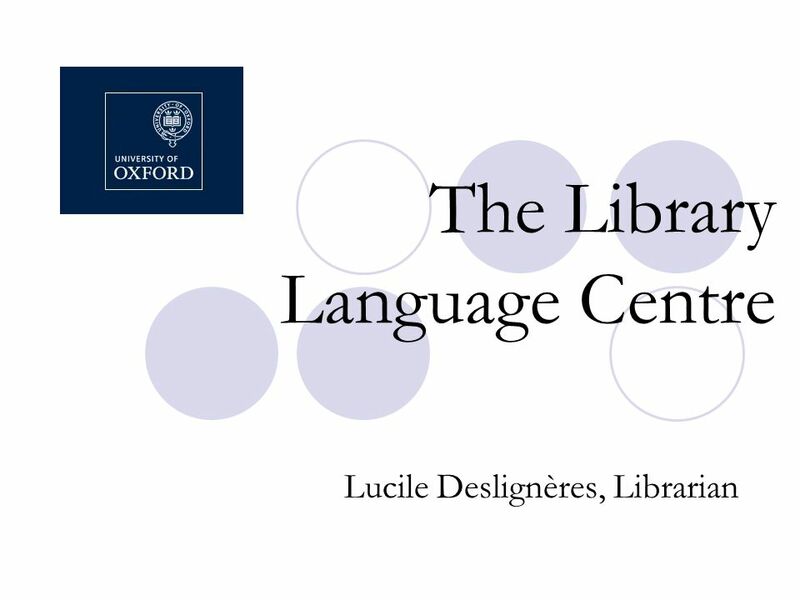 Download ppt "The Library Language Centre Lucile Deslignères, Librarian." The Library Language Centre Lucile, Librarian. 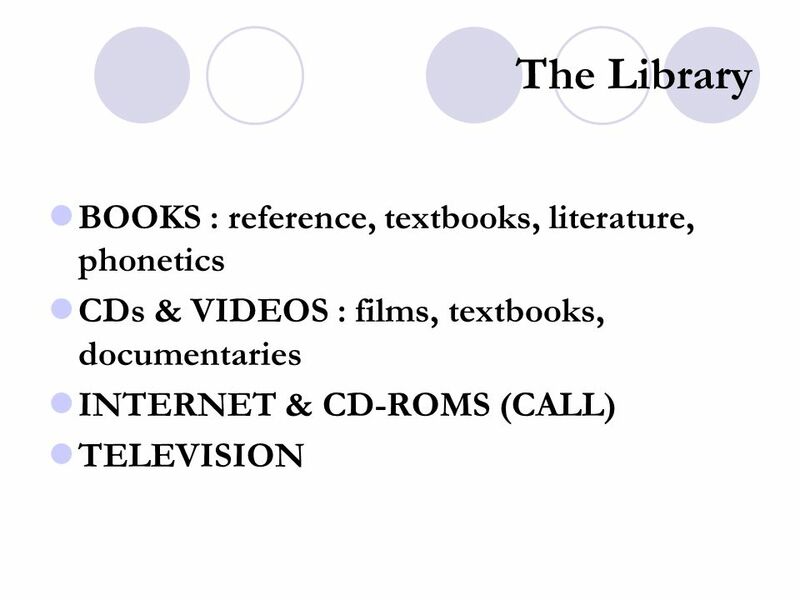 The Library WE HAVE BOOKS : reference, textbooks CASSETTES, CDs & VIDEOS : textbooks films, documentaries. Welcome to the Education Centre Library! 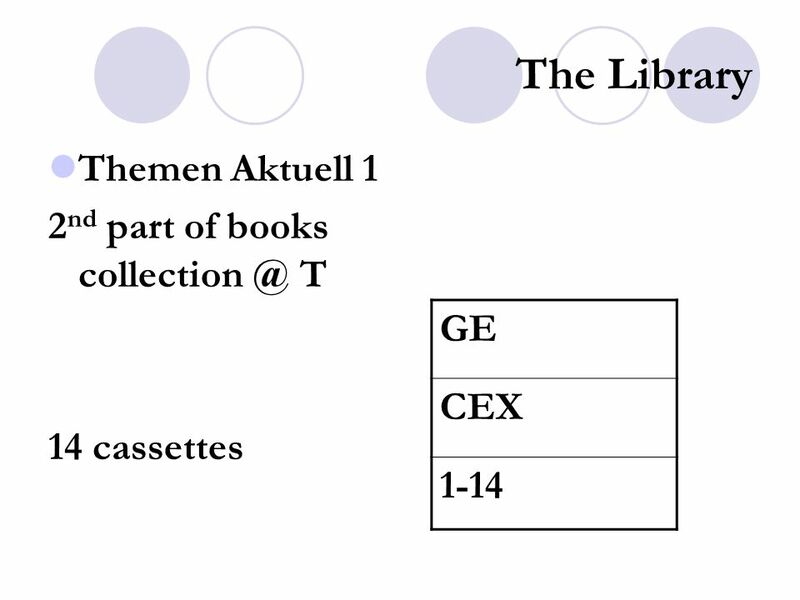 Library Tips for Education Students 2006. Joanna Cooksey, Subject Librarian. 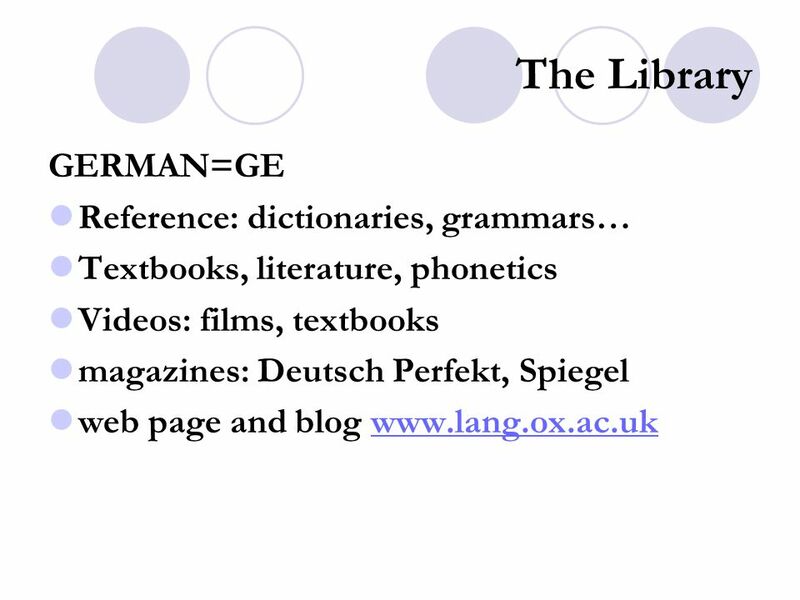 Todays session The aim is to introduce you to a range of French resources available from the Library and help you access. Seven Secrets to Success – the Library Home Page Its easy to enjoy the beautiful Mesabi Range College Library because it offers so many things to help. 1 James Library Your Information Gateway. 2 Basic Information Library Hours: M-Th, 7:45 am – 9:00 pm, and Fridays 7:45 am – 5:00 pm. Summer hours are. CHECKLISTS. Analysis: describing what is there in the textbooks, elements of the contents. Evaluation: Making a judgment of the usefulness of the contents. Keeping up to date with new research Nicola Conway Liaison Librarian. Finding books on your Reading List Search the Library Catalogue. World Language Resources Virginia Community College System. 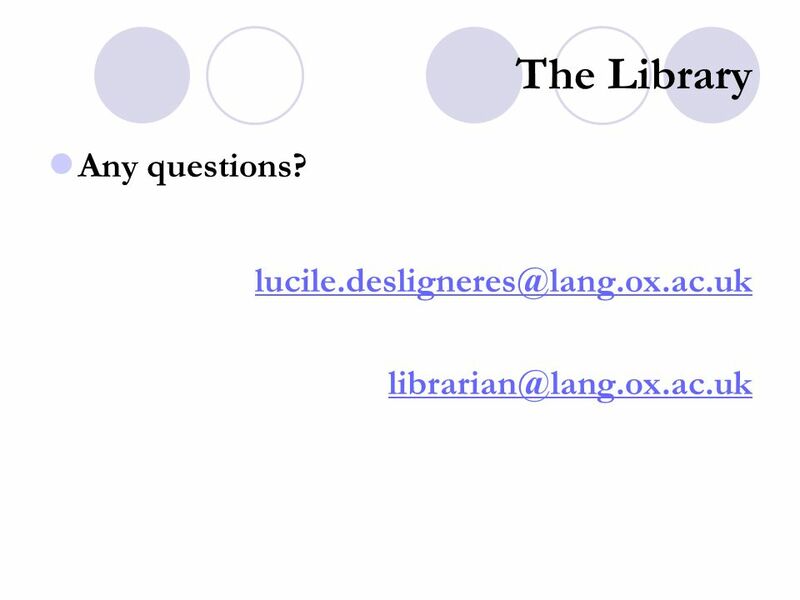 The Library Catalog: An Overview.  The library catalog is an index to all the material owned by the MSJC Libraries.  The catalog includes both physical. Welcome to the Newaygo Carnegie Library Virtual Tour Quit Contents. Churchill Falls Public Library Hours Monday8:00 am - 12:00 pm, 1:00 pm- 5:00 pm, 7:00 pm - 9:00 pm Tuesday8:00 am - 12:00 pm, 1:00 pm- 5:00. Labrador South Public Library Hours Monday1:00 pm- 4:00 pm 5:30 pm - 8:30 pm TuesdayCL:OSED Wednesday5:30 pm - 9:00 pm Thursday9:30 am - 12:00. College of Education Library Orientation UWF Libraries. Library 101. What Do You Need to Know about Information? Know How to Interpret It Information is Power  Know Where to Find Know How to Retrieve It Information. Using the Library Effectively Finding the resources you need to succeed with Mr. Pickman’s research paper (some links will not work unless you are logged.